Greetings, Learners of English! 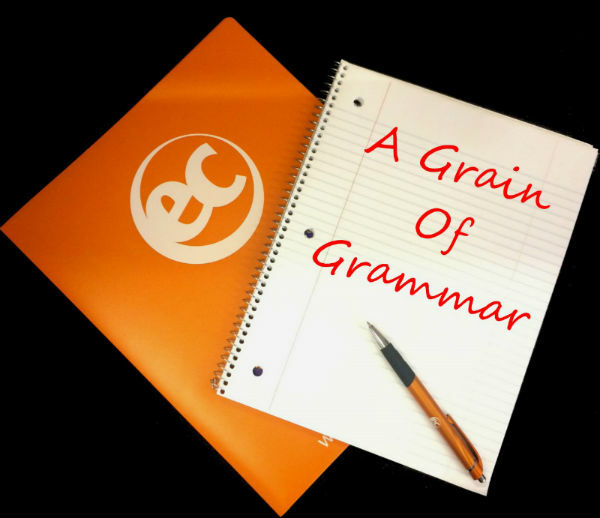 In this week’s edition of Grain of Grammar, we will talk about Countable and Uncountable nouns. Firstly, what is a noun? A noun is a person, place or thing. For example: a girl is a noun; school is another noun, and an apple is also a noun. Secondly, what does countable mean? If something is countable, that means you can count how many of that thing there are. For Example: You have 5 apples. You can count each apple. 1 apple, 2 apples, 3 apples, 4 apples, 5 apples. When we use countable nouns, besides a number, we use a or an before the noun if there is just 1. A girl. A school. An apple. Thirdly, what does uncountable mean? If something is uncountable, you cannot count how many of that thing there are. For Example: knowledge, rice and air. We don’t count all the grains of rice in a bowl – we just ask for rice. When we use uncountable nouns, we cannot use a or an before the word. A rice. A knowledge. An air – this is not proper English. It is even difficult to say and doesn’t sound natural. Unlike countable nouns, uncountable nouns do not have a plural form. Looking for English courses in the USA? Visit ECLA today!